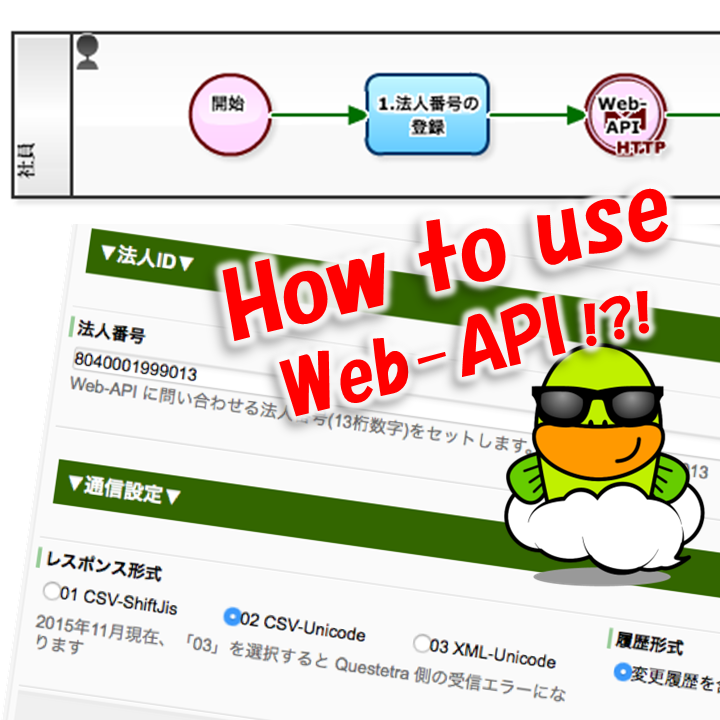 More than 10 years have passed since the technology of "Web-API" attracted attention. Suppose if, preparing an environment in which anyone can refer / collect the latest information that changes from moment to moment such as "Weather information", "Exchange information", "Stock quotes", "Postal code", "Power usage", at any time hopefully for Free, information systems around the world will evolve more and more. Web-API may be said "foundation technology of data infrastructure". 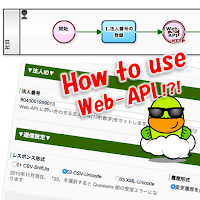 However, for the time being, there is almost no "useful Web-API" that can be used for free. 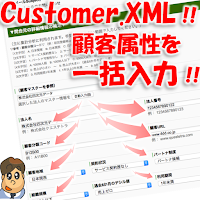 In such situation, Japanese Government (National Tax Agency) is going to start an information reference service for "Corporation Number" (Individual Number Act). It is referred to as "Corporation Number system API". It has two major functions. I want them working hard by all means,(at all costs). 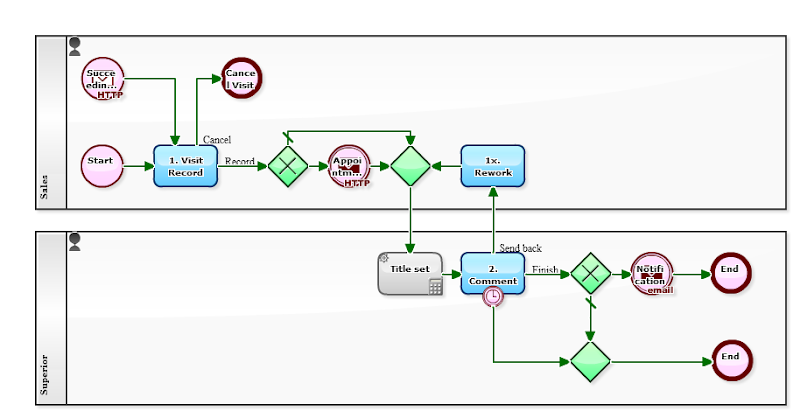 The following Workflow Definition is a mechanism to call "Corporation Number system API" in the middle of the flow. 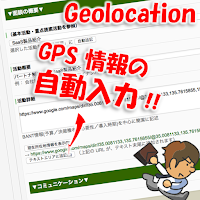 Corresponding to the above previous post, some people gave me a request that 'want to record "GPS information" as well, so that the value of the record would increase'. "GPS information" has become very easy to use, today. That is, many browsers now have a "function of acquiring GPS information", it is possible to acquire accurate position information even in a PC, not limited to the smartphone. 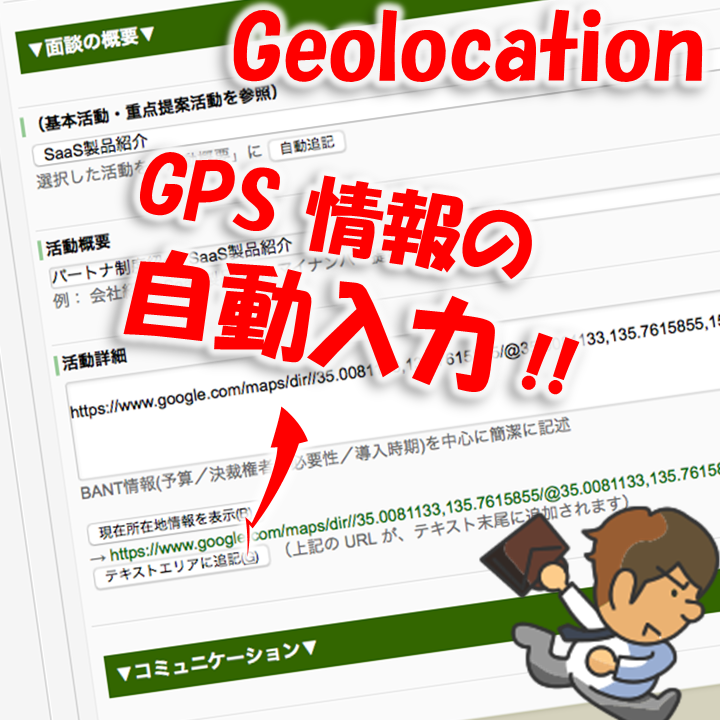 In fact, this function (called "Geolocation") is the most popular function among the new display format "HTML5" (by W3C). The following is an improved version of 'Daily Sales report' which I have posted before. The only change is the addition of two buttons in [Input Hint] below the input item of "Activity Detail" (texterea). However, it is very useful. "A button for indicating Google Maps URL"
"A button for pasting the indicated URL to texterea"
"We will sincerely correspond to your voice"
Easier said than done. Actually, sometimes it might be impossible to "Immediately respond to customer voice". Suppose if you set up a framework to dynamically scaling up the "human resources", it will have its limit. No, wait. First of all, the policy of "simply increase manpower" will lead to "increase of cost". Consequently, it will not be for your customers. Hmm, what truly is "corresponding sincerely"? Specifically speaking, it is to capture and to record the progress between the completion of answering to the customer, from the acceptance of the opinion and demands from customers. And then, continue to improve the "flow of Complaint handling process" or the "Work Manuals". The following Workflow Definition is a very simple "Complaint handling process." * You may refer to as "Claim handling process" or " Inquiry handling process", as well. To begin with, you run this simple Workflow for "Customer voice" for a week or a month. And then you will conduct the first Process alteration based on the accumulated handling records and actual experiences. Thereafter, iterate the improvement cycle. 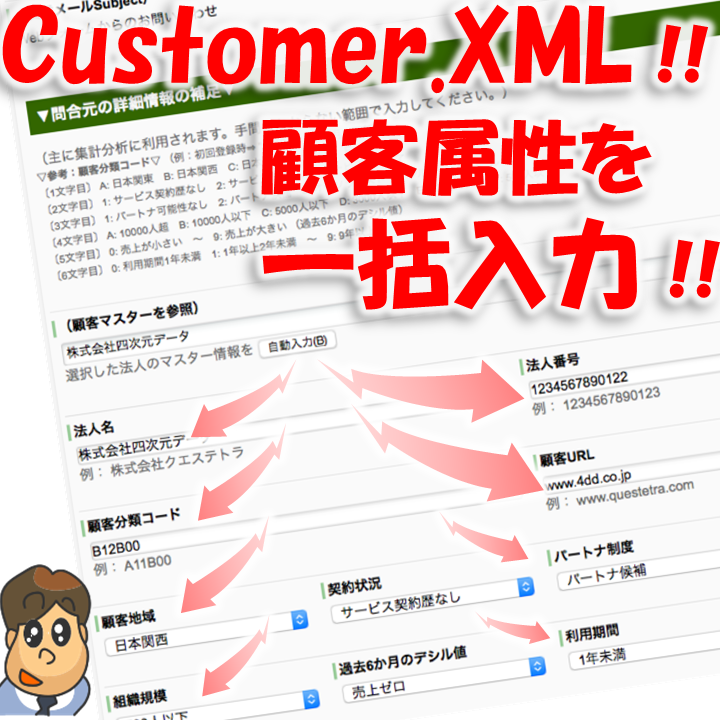 In addition, it is excellent that it refers "Customer Master". 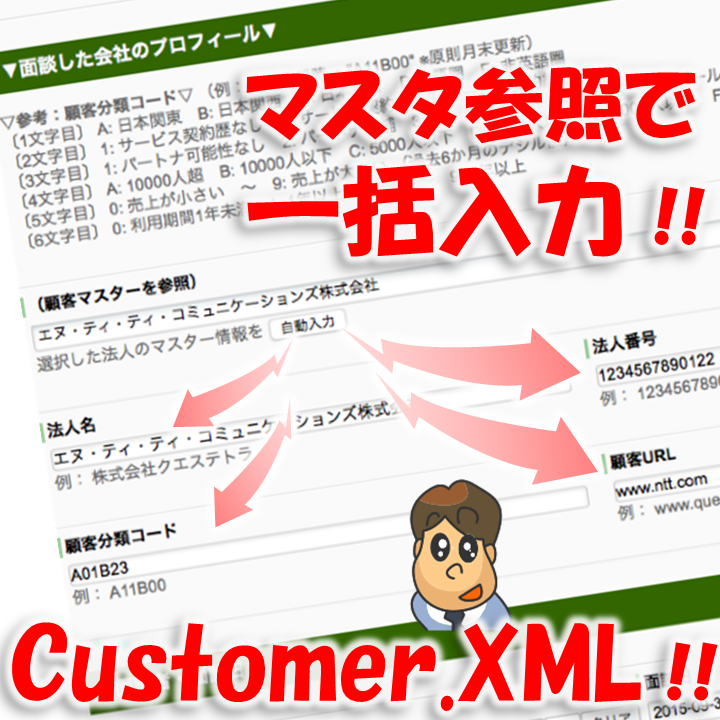 If you have prepared the "customer master", operators will be able to input "customer name without fluctuation", easily. Certainly, Sales daily report is "sober reporting work". Yet, it is also a "very significant activities record" at the same time. when you think trying to remorse on "month that ended in failure". For example, suppose if you try to analysis on what and to which client group you have been pushing as the entire Sales department. It will take a considerable time for "decent analytical materials" to be completed, even if you conducted hearings to each member. The day-to-day Sales daily report, in other words, is important foundation material for considering" the next sales strategy". 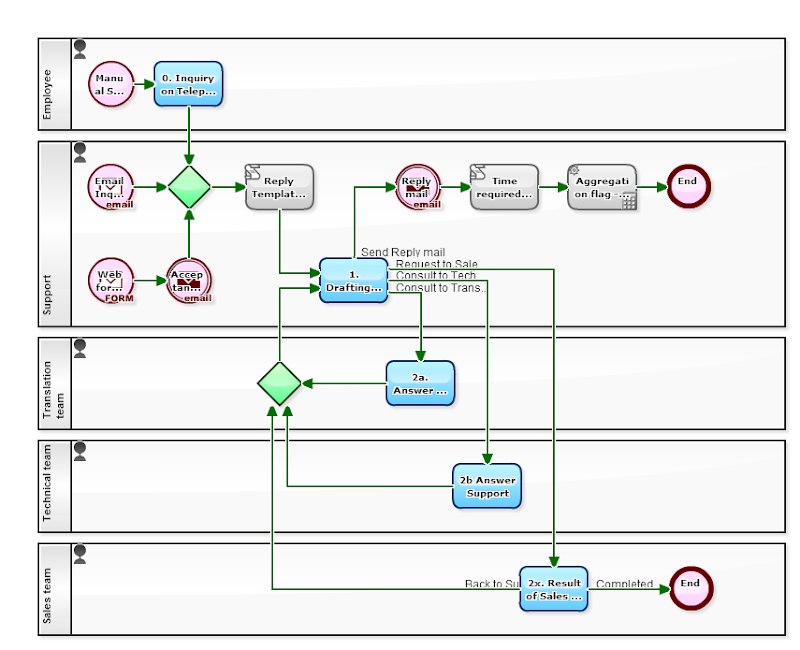 The following is a "very simple Business Process" which is composed of only "Visit record" and "Superior's comment". Even though, I say that the excellent point of this is the mechanism of the input support. 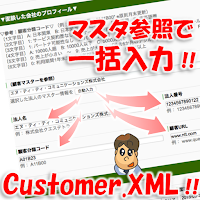 That is, it allows referring to"Customer Master Data", which is managed centrally on the Workflow platform, for the "customer attributes" and "customer name". Also, it is able to refer to a list of "Basic activities and Concentrative proposal activities" for "Sales activity".